Dizzy Walker and his sister Ana are about to take part in a once in a lifetime opportunity--a treasure hunt at Disneyland called The Disneyland Quest. Clues are hidden throughout Disneyland, leading the Quest participants to the combination of a vault set up on Main Street and the $250,000 prize inside. The trip to Disneyland is an opportunity for Dizzy to meet his mom's new boyfriend, Steve, and his son, Travis, for the first time. To make the introduction go smoothly, Steve offers to pay for Dizzy and his family to meet in Disneyland; Dizzy's favorite place in the world.Dizzy, Ana, and Travis must work together in a race against the clock, thousands of opponents, and the mysterious man in red who follows them throughout the Quest. 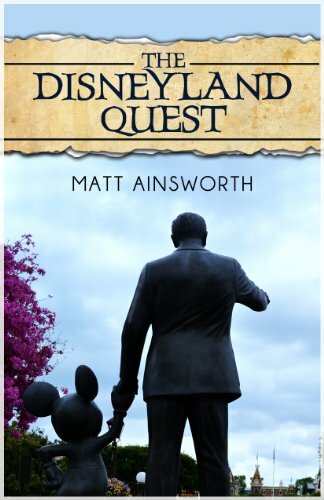 Friendship, perseverance, and trust are all put to the test in The Disneyland Quest.